Speaker Karu Jayasuriya yesterday said that he deeply regretted that MP Dinesh Gunawardena mixed up the official visit to India with the Opposition Leader post in Parliament. The Speaker made the above observation in a reply letter to Joint Opposition Parliamentary Group Leader Dinesh Gunawardena. MP Gunawardena wrote to the Speaker on Monday, refusing to join the multi-party Sri Lankan delegation to New Delhi, India. Gunawardena stated that he did not want to be a part of the multi-party delegation led by Speaker Jayasuriya, as the JO’s right of holding the Opposition Leader post in Parliament was denied. 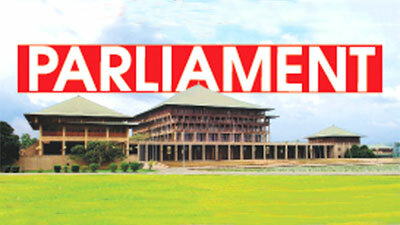 Speaker Jayasuriya in response, stated that he invit Gunawardena for the New Delhi visit with good intentions. “When I invited MPs to be a part of this delegation, I did not consider the posts they hold in the Opposition. MPs such as the All Ceylon Makkal Congress (ACMC) leader Rishad Bathiudeen, Sri Lanka Muslim Congress (SLMC) leader Rauff Hakeem had also been invited on behalf of their parties. Therefore, I deeply regret of you being concerning confused this visit with the Opposition Leader post,” Speaker Jayasuriya said. India has invited a multi-party Sri Lankan delegation to visit New Delhi for a familiarisation tour where bilateral matters will be discussed. The delegation was led by Speaker Jayasuriya. Gunawardena had been invited to be a part of that delegation on behalf of the JO by Speaker Jayasuriya. Prime Minister Ranil Wickremasinghe brought under the consideration of the Central Environmental Authority (CEA) that laws pertaining to plastic waste should be further strengthened. Responding to queries raised by MP Hesha Withanage about factories that dispose plastic materials to the environment without following a proper system, the Prime Minister said the National Environmental Act does not recognise the factory that collects and stores plastic materials as a cause for environment pollution. Luxury rooms at Taj Samudra, Hilton and Shangri-La hotels in Colombo had been reserved by Joint Opposition MPs to stay overnight, while the people who came to Colombo to support the JO protest were forced to sleep on streets, Law and Order Deputy Minister Nalin Bandara said. Speaking during the Parliamentary debate yesterday, he revealed that former President Mahinda Rajapaksa has booked Suite Room Number 754 of the Taj Samudra hotel to stay the night. Bandara added that rooms in luxury hotels such as Hilton and Shangri-La had also been booked for the JO MPs and their close associates and cronies to stay overnight. “The ordinary people who were taken to Colombo in hired buses to take part in the protest will have to spend the night on the road. While the protestors were given a Rs.150 rice packet each, the JO leaders enjoy all the luxuries at hotels. This reflects the real picture of the JO,” he commented. “This Government has two more years to complete its term. The JO MPs are agitated as the law is catching up with them. Their cases are being taken up at the Special High Courts. They foresee their fate. That is why the JO is trying to grab power by using innocent people as shields,” he added. Deputy Minister Bandara said the Government had assured the rights of the people to hold protests, adding that it has given instructions to the Police to guarantee the safety of the public and public property. “We do not use state power or thuggery to suppress protests. However, we will implement the law to the letter, if public property is damaged,” he noted. “The Government is ready to take up any challenge. The Government will do its duty to the country and the people, but we will not deceive anybody through fantasies and false promises,” he added. The Government is to bring in a new law to provide for the recovery of damages for the death of a person caused by a wrongful act, omission, negligence or default of another. According to the new Bill titled ‘Recovery of Damages for the Death of a Person’ gazetted on Monday, the family members or the guardians of the deceased person will have the right to “maintain an action for damages” against the person whose wrongful act, omission, negligence or default caused the death of that person. The parents, children, siblings, grandparents or the guardians of the person whose death had been caused by the above mentioned reasons, have the right to apply for the recovery of damages for the loss of that person’s love, affection, care and companionship and the mental pain and suffering. The Bill will be presented for First Reading in Parliament shortly by Justice and Prison Reforms Minister Thalatha Athukorala. The Court can seek the assistance of one or more experts for the purpose of deciding any matter under this Act. Any applicant who has abandoned the deceased person will not be entitled to claim damages under this legislation. JVP MP Vijitha Herath yesterday, presented the 20th Amendment to the Constitution to Parliament for First Reading in order to abolish the Executive Presidency. He said that several leaders made false promises that the Executive Presidency would be abolished, but it never happened. “Discussions were held to abolish the Executive Presidency when the 19th Amendment to the Constitution was passed, but could not totally abolish it,” he said. MP Herath pointed out that with measures being taken to formulate a new Constitution in order to strengthen the democratic system in the country, it was vital that the Executive Presidency be abolished. The government yesterday in Parliament moved the rules under the Post Office Ordinance and revised the minimal postage fee from Rs 10 to Rs 15. There will not be any changes to the business postal fee. The motion was moved by Highways and Road Development Minister Kabir Hashim in the absence of the subject Minister.